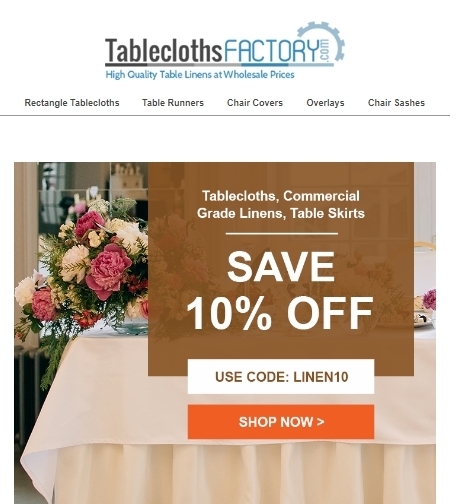 Allen Miller Use Code: LINEN10 at checkout! Sale runs 12/11/18 - 12/17/18 11:59 PM. This code cannot be combined with any other discount codes. 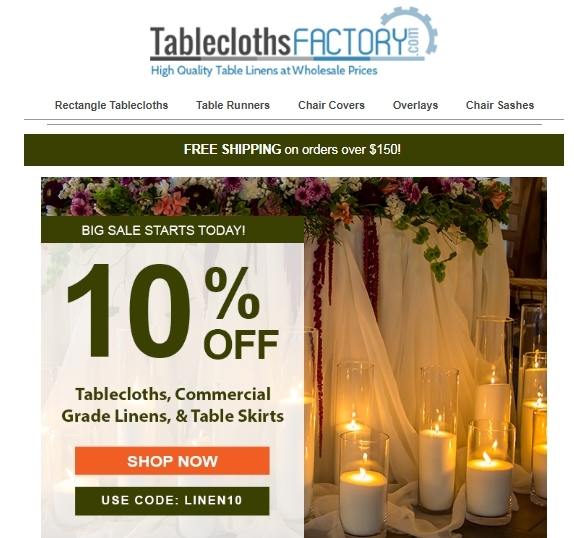 Only applicable to the Categories: Tablecloths, Commercial Grade Linens, and Table Skirts. Exclusions may apply.